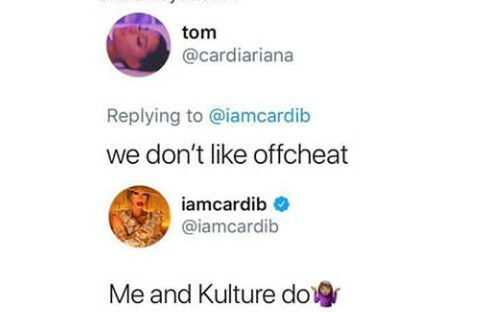 Cardi B took to Twitter to promote Offset’s new album but her followers weren’t having it and they criticized her for it. But she wasn’t having it either. 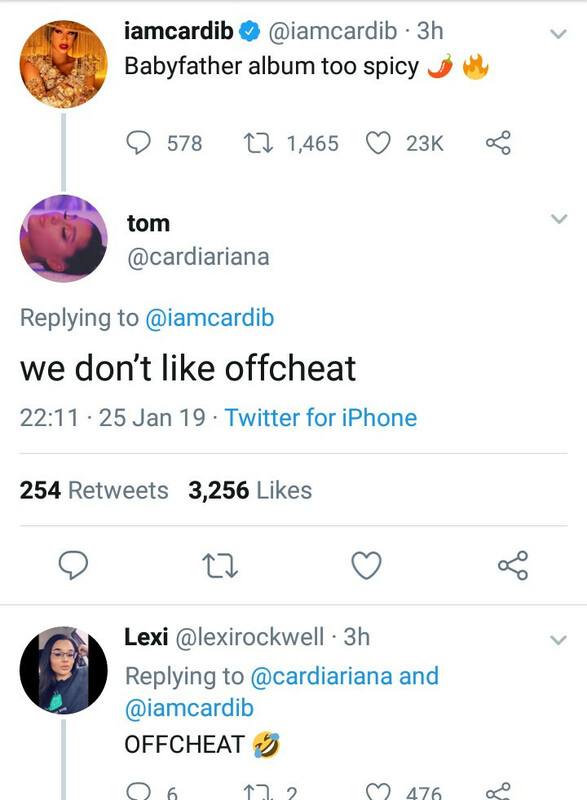 Followers of Cardi have been protective of her since she and Offset split due to his continuous infidelity. 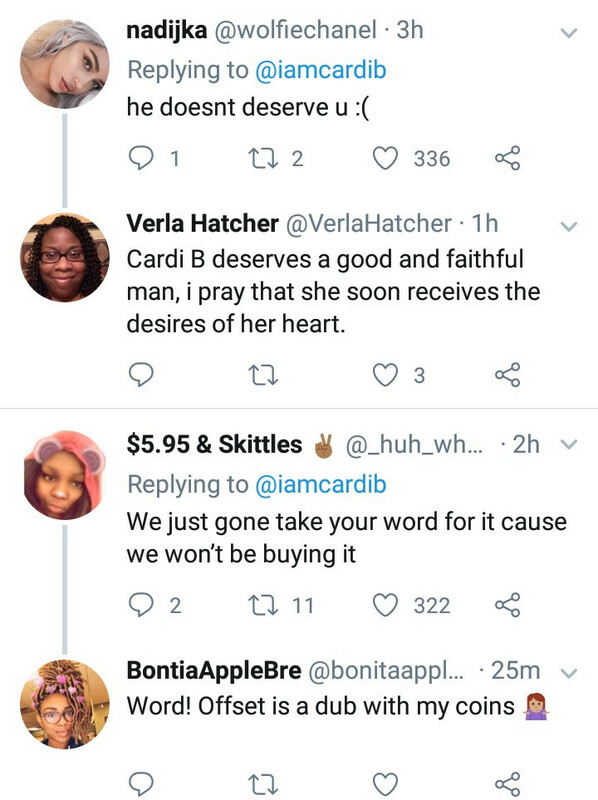 But Cardi seems really forgiving and has been cordial with him to the extent that she promoted him new album. “Babyfather album too spicy,” the mother-of-one wrote. But her followers told her that she deserves better and asked her to leave cheating Offset. Some called him “Offcheat”and some told her to move on.